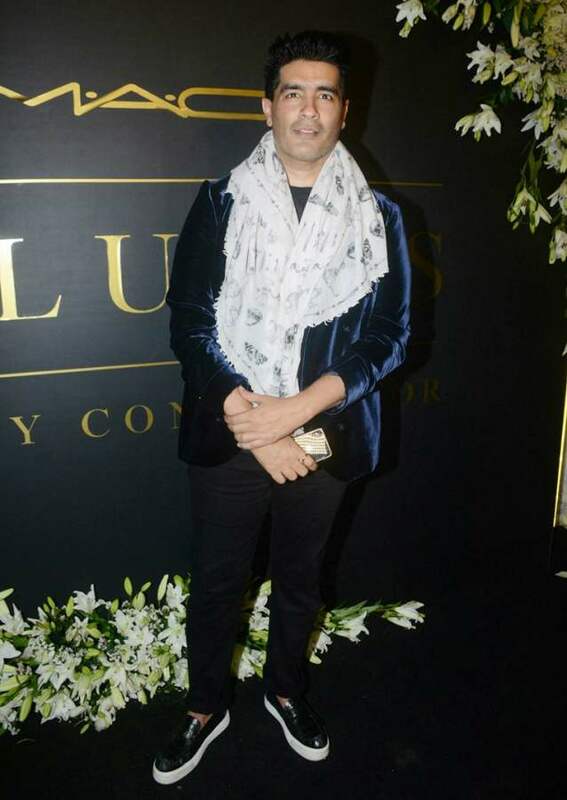 On the occasion of completing his 12 years association with MAC, the popular Bollywood make-up artist, Mickey Contractor threw a lavish party and boy what a starry night it was! The who’s who of the industry had gathered yet again to party their hearts out and grace Mickey’s event with their presence. Attending the party were seen, Karan Johar, Kajol Devgan, Sushmita Sen, Shilpa Shetty, Aishwarya Rai and many more. While most of them were seen putting their elegant foot forward, there were a few who made us cringe with their appearances. The ‘Main Hoon Na’ actress, Sushmita Sen looked like a complete stunner in a shimmery plunging neckline top which she beautifully coordinated with a pair of ripped denims with a dash of shimmer on it as well. She teamed her attire with a pair of strappy black heels and a matching clutch. She opted to keep her make-up minimal and finished off her look with wavy side-parted hair and light red lips. The fitness diva, Shilpa Shetty kept it simple yet classy in her LBD which she smartly layered over a laser-cut lace shirt. The actress paired it with gladiator heels and a black sling box clutch. She finished off her look with Centre-parted hair, thickly-lined eyes and light pink lips. Kajol looked awful dressed in her navy blue bodycon dress from Gauri and Nainika. The dress featured a voluminous sleeve on one side and beautiful ruffled details on the neckline, but it was so not meant for Kajol. She really needs to work on her choice of clothes. The director looked all sophisticated in a maroon blazer teamed with a white shirt and a pair of black trousers. 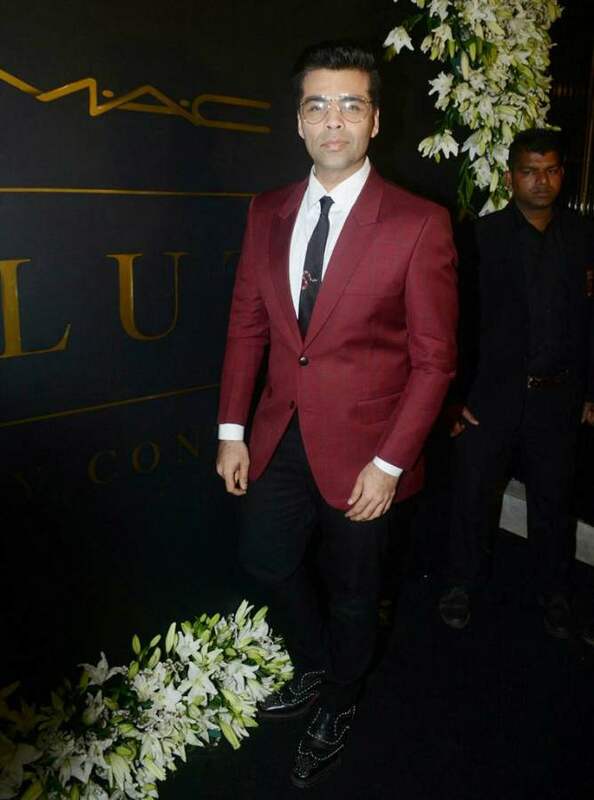 We simply love how he accessorized his classic look with a quirky pair of specs and a pair of black studded shoes. Aishwarya looked breathtakingly amazing in Shahab Durazi’s designed, black cocktail sari which featured white embroidery on the borders. She teamed it with a black embellished blouse and rounded off her look with minimal makeup, red lips, and straight hair. Just like Kajol, Madhuri too went ahead to don Gauri and Nainika’s creation for the party. And luckily her V-neck, body-hugging dress, that featured a floral embellishment on the bodice, made her look a thousand bucks. She teamed her outfit with a pair of black pumps, wavy hair, and bold red lips. But the only complaint that we have from her is her make-up which is making her complexion appear all blotchy and flaky. Dia Mirza looked splendid in a semi-sheer navy blue dress designed by Rohit Gandhi and Rahul Khanna, which featured a plunging neckline and an embellished details on the skirt. The actress teamed it with a pair of matching pants, a pair of statement earrings and finished off her look with defined eyes, pink lips and hair done in a messy bun. Manish Malhotra looked dapper in a pair of black trousers teamed with a matching T-Shirt and a velvet blazer. He accessorised his outfit with a pair of black shoes and a white scarf that featured quirky prints on it. Sonali Bendre stepped out in a lovely beige-hued sheer floral printed maxi dress. With center-parted curly hairdo, dark red lips and thickly-lined eyes, the actress finished off her look. 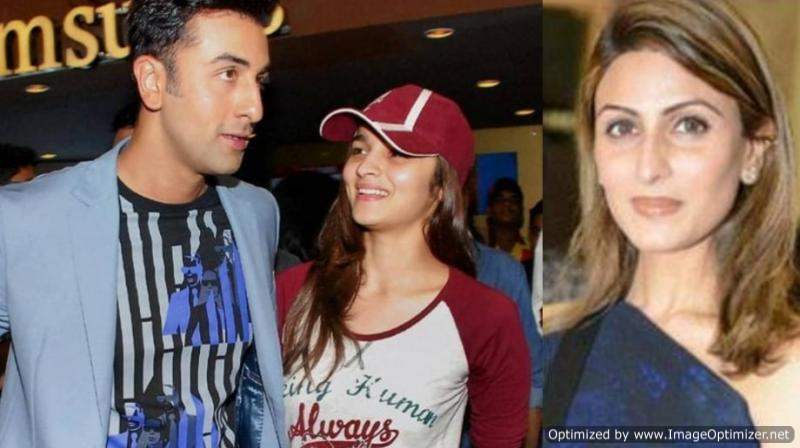 Next story All is still not well between Deepika and Katrina! Deepika’s shocking statement proves it!